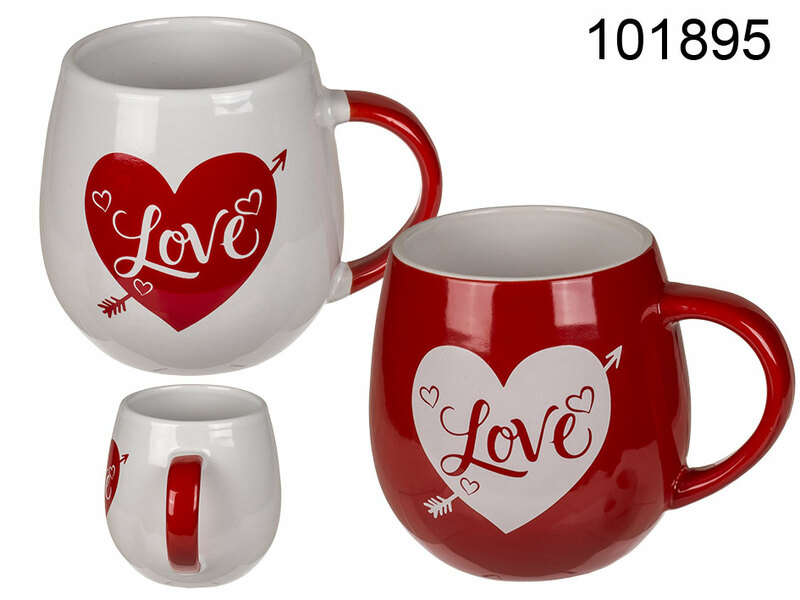 Bulgy mug with LOVE sign inside a heart pierced by arrow. With this mug your morning tea or coffee drank with your loved one will taste even better. Wonderful gift idea for your loved one. Size and bulgy shape make it larga-capacity drinkware item - capacity: 420 ml. Two models available - assorted.